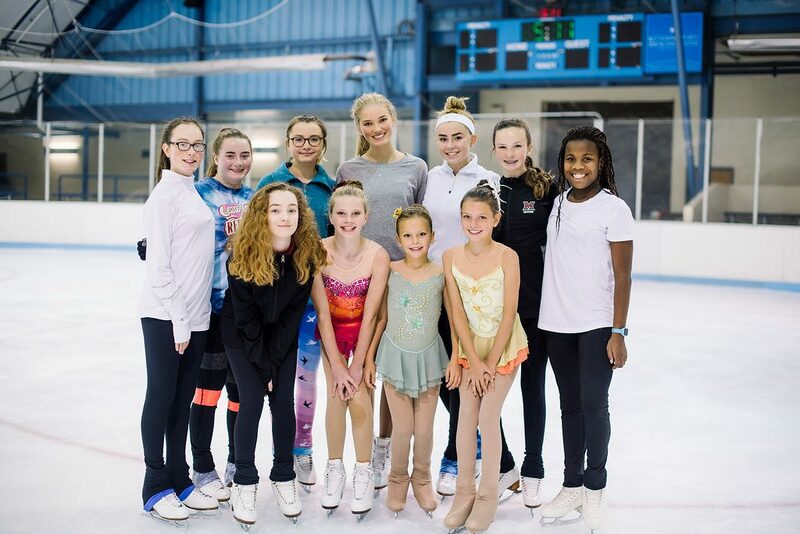 Meet the South Dayton Figure Skating Club! For many years, the South Dayton Figure Skating Club has practiced at the Kettering Ice Arena. This organization is “the next step for serious skaters who have completed the City of Kettering’s USFS Basic Skills program and wish to expand their skills in the various disciplines of figure skating.” The SDFSC offers full membership privileges in the United States Figure Skating Association, which is the organization that governs events like the US National Championships, the competition that decides who goes to the Olympics! We talked to SDFSC President, Paul Robinson, who gave some fascinating facts about the organization! * Club member achievements: The club has 11 skaters that are a “U.S. Figure Skating gold medalist” having passed the highest test in one of the US Figure Skating disciplines. Of the 11 skaters passing the ‘Moves in the Field’ and ‘Dance’ gold tests, five have passed both tests and so are double gold medalists. Most of the gold level skaters are currently coaches, having passed their senior (gold level) tests as youth skaters between 16-20 years old. However, two adult skaters have passed three “Adult” gold level tests and one adult skater has passed one “Masters” (50+ years old) gold level test. There are four collegiate members who are one test away from gold level, having passed the Junior Moves in the Field or the Pre-Gold Dance test. As for the youth skaters, there are two who have passed the Novice Moves in the Field test with their Junior and Senior (gold) tests ahead of them. 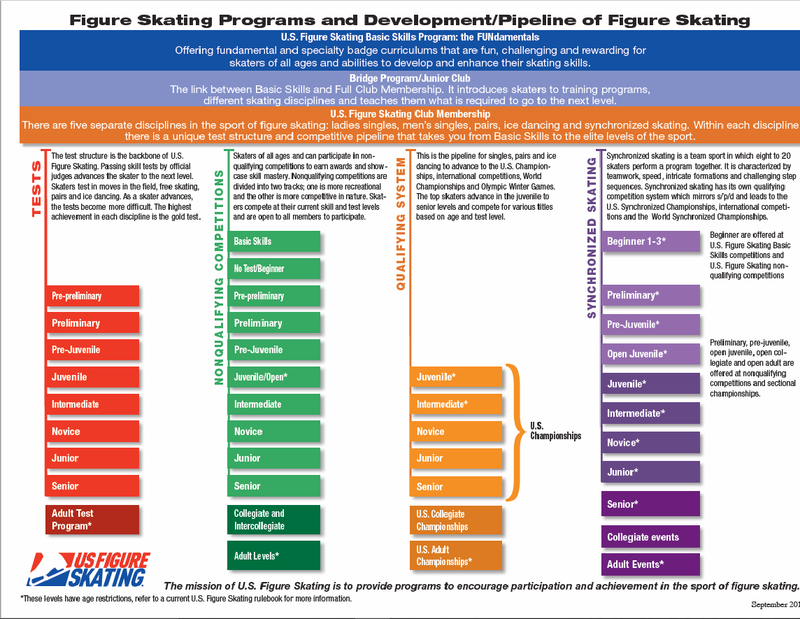 (Check out the graphic below more information about figure skating levels and tests!) Our club skews younger (no high school seniors; one junior) so our skaters are about at the skill level consistent with the club’s history. The club also sponsors Ice Force synchronized skating, whom we’ll be featuring soon!